It’s a real shame that most people visiting Estonia never set foot outside the capital, Tallinn. Tallinn is lovely but there is a lot more to this country, including islands. The second largest, Hiiumaa, is home to multiple lighthouses, tranquil countryside and one of the craziest tourist attractions in Europe. Lighthouses are something of a feature in this part of the world. 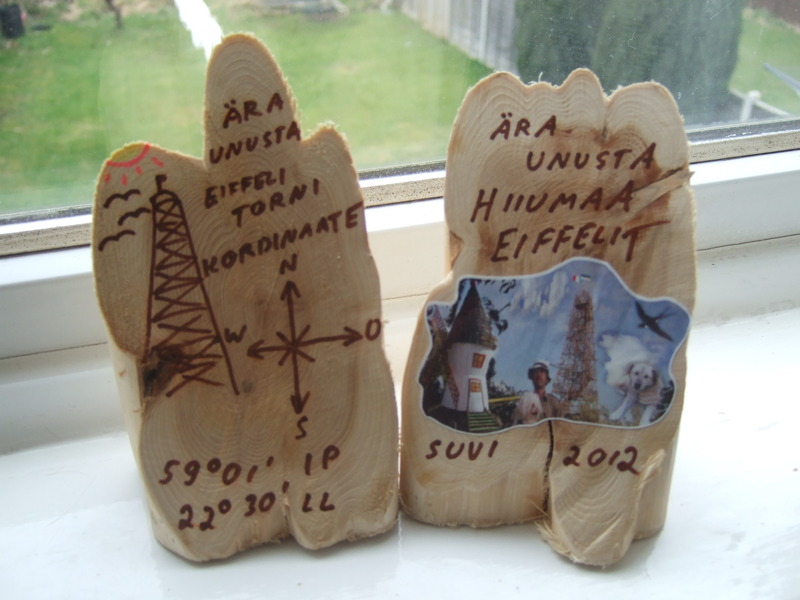 We visited three of Hiiumaa’s, all very different from each other. Ristna Lighthouse is frilly, red and very French looking (it was made in Paris). 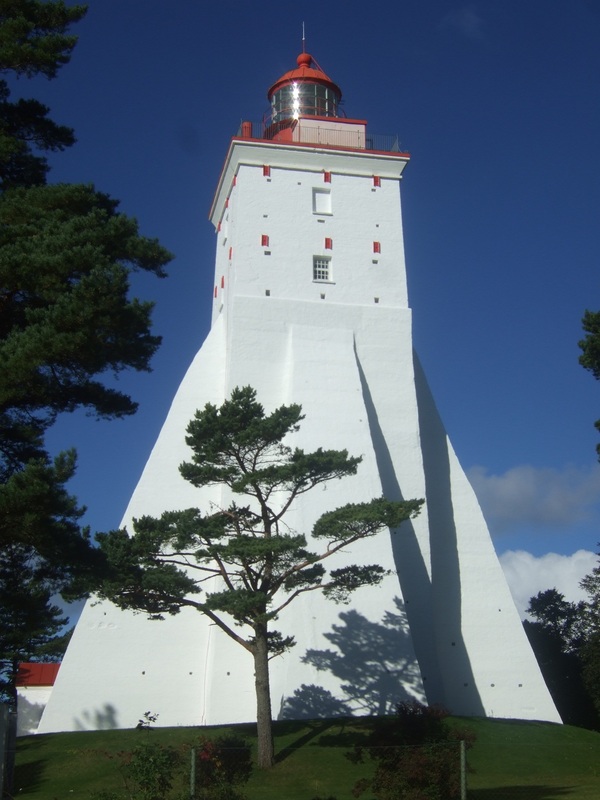 The view from the top includes a sea view (obviously) and a forest view, a picture repeated with variations at the other two lighthouses. Kopu Lighthouse is a heavily shored up brick edifice, recently rebuilt and looking very bright and white in the sunlight. By far the biggest of the three, it also has an exhibition of old maps at the top and is probably the most satisfying to climb. Tahkunan Lighthouse is the most traditional, white metal with a jaunty red top. 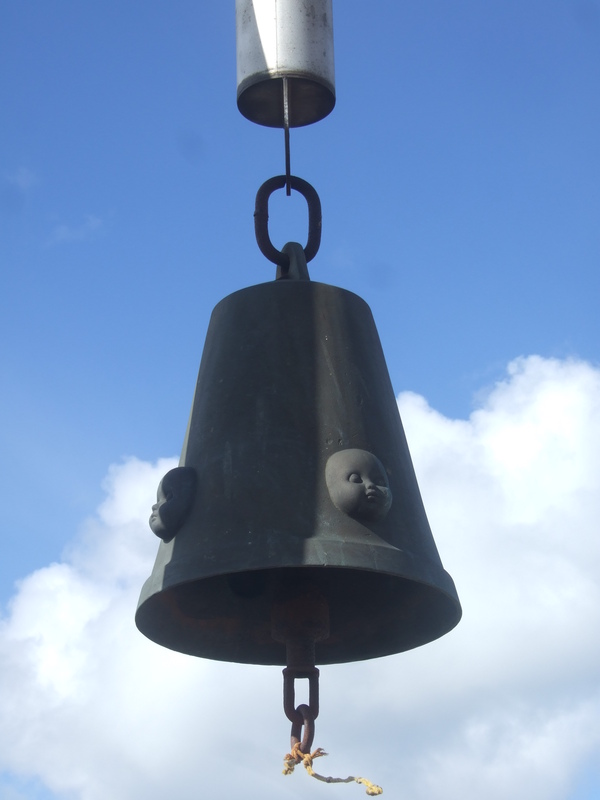 Nearby is a sombre bell on the seashore, a memorial to the Estonia, a car and passenger ferry that sank in 1994. Lighthouse-sated, next stop was the forest, to view a Soviet bunker built into the landscape to house a long since removed super-gun. 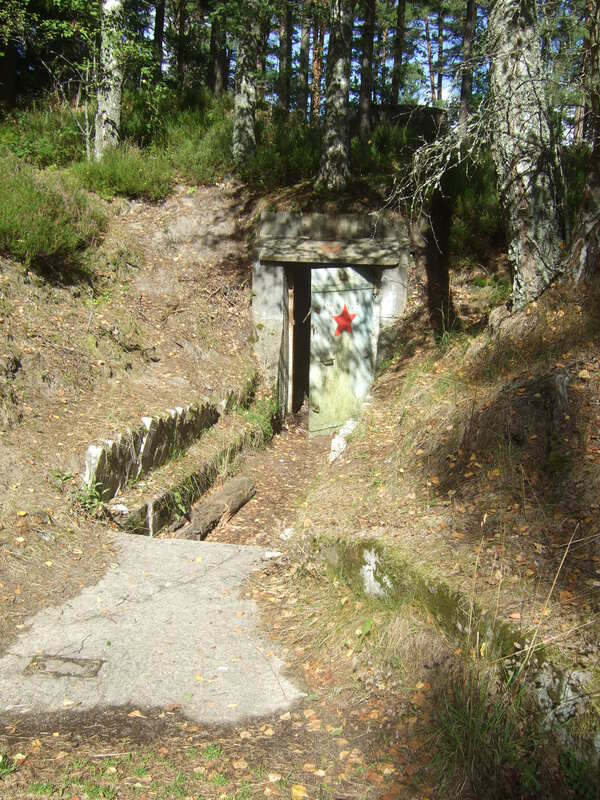 There is no visitor centre and no entrance fee; the heavy metal door with a helpfully painted red star is simply left wedged ajar. 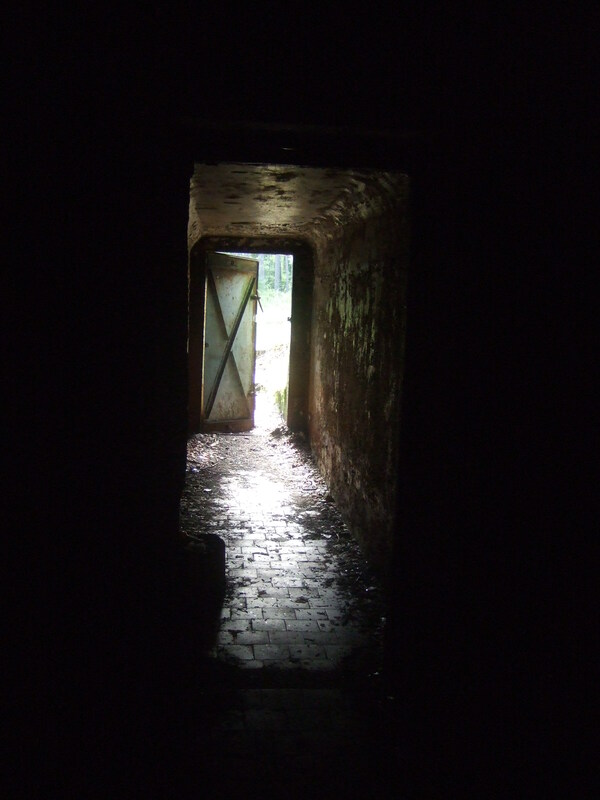 Inside, of course, it is dark. Very dark. Beer cans testify to the fact that sometimes in the summer local teenagers come to party here but I can’t imagine they hang around for too long after they’ve told the initial ghost stories – dark also means cold. The most unusual attraction on the island is the ‘Eiffeli Torni’, an edifice with a chequered history built by a resident who has never seen the original. 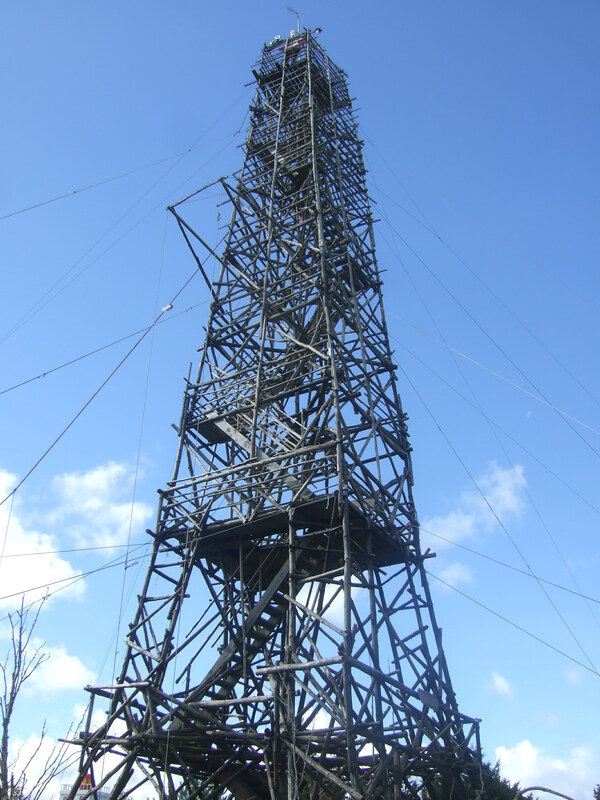 The 31ft wooden structure does, from a distance and with one eye shut, sort of resemble the Eiffel Tower. Unfortunately the local council will no longer allow visitors to climb to the top. In fact, they have been trying for many years to make the builder take it down altogether. I think that would be a mistake – in its own way, it is attractive and it is certainly unique. Made of juniper branches rather than planks, it presents an irregular but very organic appearance. 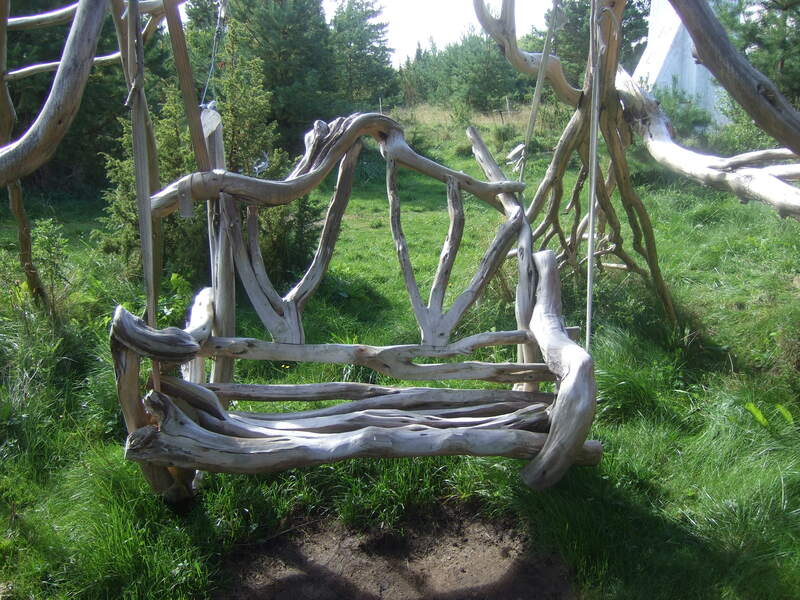 The tower builder also makes wild but strangely beautiful garden furniture from driftwood, some of which is for sale. You can try out a swing seat and test the stability of the tower at the same time. We swung gently backwards and forwards craning our heads to keep an eye on the ropes, which go all the way to the top of the tower. It was perfectly safe and extremely soothing. Having not willingly bought a holiday souvenir for the best part of two decades, I happily parted with three Euros for three wooden…things. Ornamenty things. Presumably now sitting on the mantelpiece of tourists around the world the souvenirs are, like the tower itself, wooden and absolutely crazy. 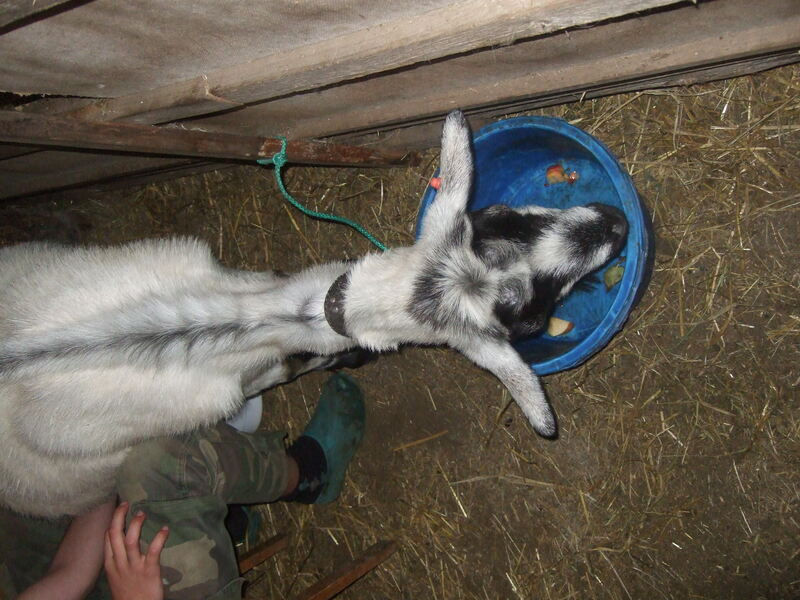 Hiiumaa is mostly agricultural and I was lucky enough to be taught how to milk a goat. I thought I was doing well as a couple of inches of milk splashed into my bucket. That was before I looked over at the full pail of the farmer’s seven year old son next to me and gave up. 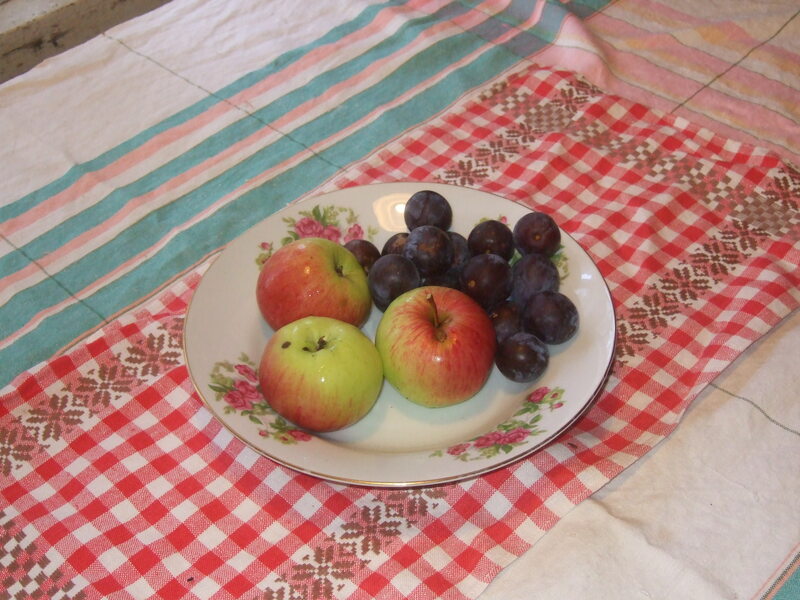 Produce from the island is of outstanding quality, particularly the cheese and honey. Our final visit was to Hiiu Vill. 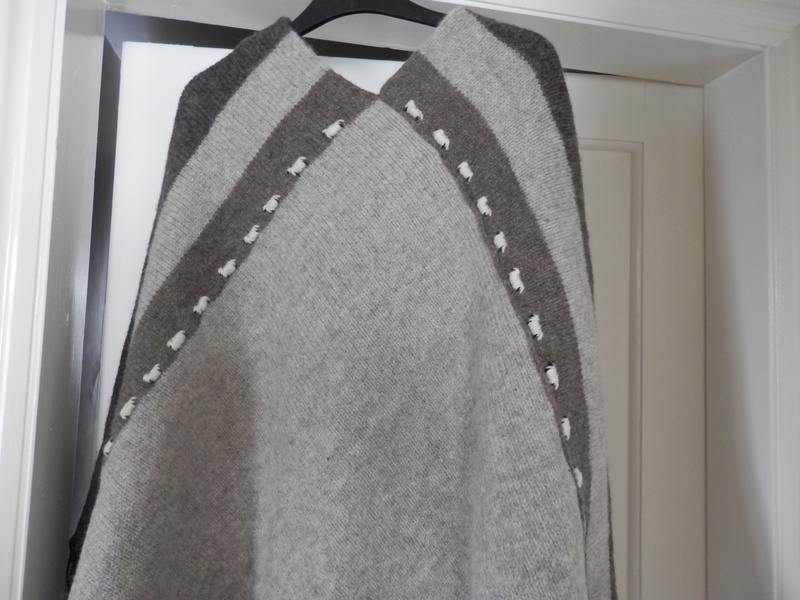 This houses traditional machinery that is still used to make a variety of beautiful winter garments in muted, natural tones. As with the tower I was once again unusually happy to buy things to take home. 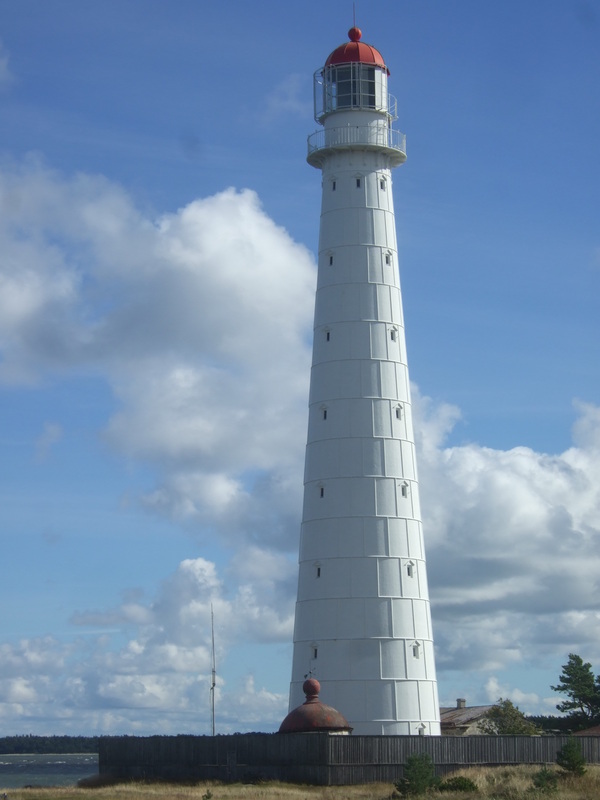 Estonia is a quiet country and Hiiumaa is one of its quieter areas. It doesn’t boast about its attractions but they are worth seeing, and there are few places with the ability to turn out a better poncho.